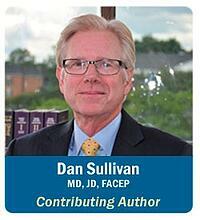 In general, practitioners don’t appreciate anything that “pops up” or gets in the way of their typical workflow. This aspect of some EMRs can cause dissatisfaction, even anger. A good example is warnings related to medication prescribing. In some programs, drug interactions of any severity and their complications litter the screen with overwhelming frequency. This simply becomes white noise and is soon ignored, sometimes to the peril of the patient as well as the practitioner. However, notifications that are clinically relevant and that relate to high-risk presentations can be very welcome and life-saving. They must be used with caution or they will soon be ignored. In a previous article, we outlined a scenario in which a 70-year-old female’s Mean Arterial Pressure had dropped by 30%, and through some algorithmic programming, the EMR recognized those changes and delivered that information to the practitioner. Similarly, the properly programmed EHR can recognize — before the human — when a constellation of vital signs and labs indicates the presence of sepsis. Another key example of properly programming a “Risk Notification” is an abrupt onset of chest pain in a 60-year-old, which strongly suggests the presence of a thoracic aortic dissection. 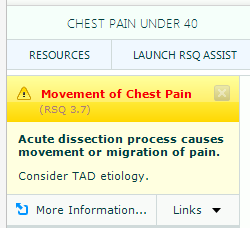 Additionally, if there has been Movement or Migration of Pain, a “Risk Notification” should be activated to raise the practitioner’s level of suspicion of a thoracic aortic dissection. A board-certified emergency medicine provider or other critical care specialist is probably aware of this issue and may not need this notification. However, at 4:00 in the morning during an out-of-control busy shift, a gentle reminder may be welcome. This notification should open up off to the side so it doesn’t get in the practitioner’s way, and it should disappear in a pre-designated time frame. Alternatively, notifications can be based upon clinical rules. If three or four elements of Kawasaki syndrome are present, the practitioner may benefit from a reminder to consider the possibility of this disorder. Practitioners don’t see Kawasaki’s often, so it is not front of mind; it often does not make the differential diagnosis. And it is clear that if you don’t consider a diagnosis, you certainly can’t make that diagnosis. The failure to diagnose Kawasaki’s can result in ruptured coronary artery AV malformations and morbidity and mortality, predominantly in children. 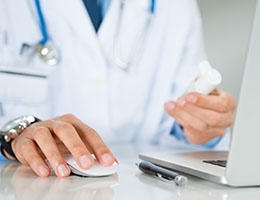 Once again, in the EHR environment, let the machine do the heavy lifting and connect the dots for you. The key here is to strike an important balance. Use the notification when there is a significant risk of morbidity and mortality; keep it out of the direct line of sight; make additional information available when required by the practitioner; and make it the practitioner’s friend.